Weekend Reading: an eclectic mix. We are such an eclectic mixture of peoples all of us. You and I. Such a wonderful bunch. Some of us are photographers, readers, writers, observers, cooks, chefs, Mamas, Papas, some of you are lovers OF photographers, or writers, cooks, chefs, words, living, sharing, old trucks. We are farmers, gardeners, roamers, travellers, craftspeople, poets, beautiful. Well – obviously beautiful! Eclectic. Awesome word. I can tell you the day I learnt that word too. But I won’t. There was a man involved (years ago) and he told me that my collections of art and books were an eclectic mix. I was thrilled. Because you see I just picked up and hung up whatever I wanted to, I never even meant it to be a collection. Eclectic forgave me! Enough about that day. My Saturday introduction pages are a favourite day for me because I can just lazily collect an eclectic mix and share my favourites with you. And I can use this time to check up on all of you, make sure you have all been behaving this week. 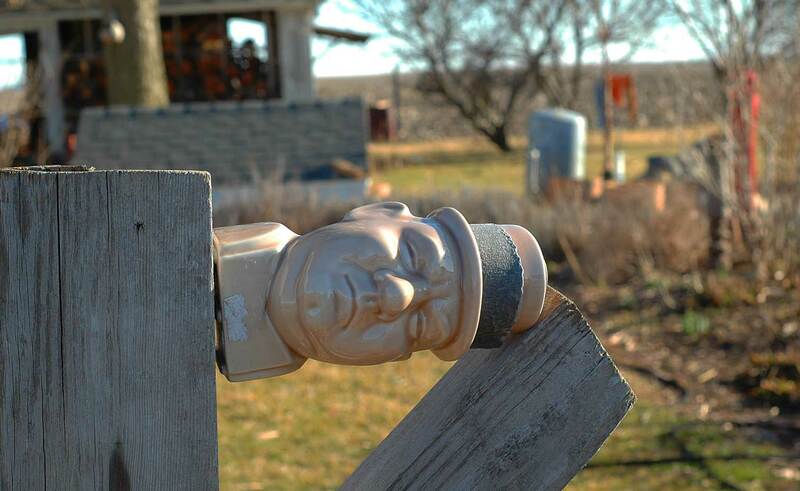 We can all take a wee step back from the intense weekdays and raise our heads for a look around. Below are a few suggestions for Saturday wanderings. Hopefully you will find a page that interests you. It is a short list today. And we all know why! Next week may be quieter. And I will have more time to visit you all. 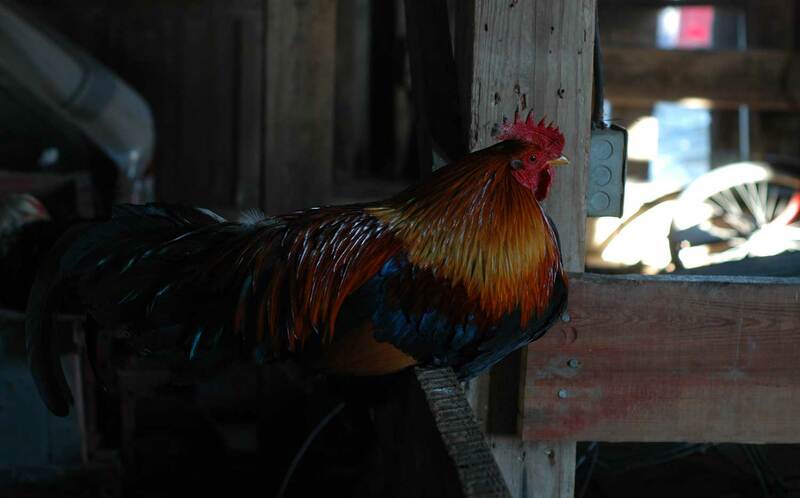 It appears, much to my dismay, that I have become a photographer of roosters (sigh). But like cats, they always look beautiful. The Lonely Walkers. Two young women from two different countries. Both photographers. They take photographs of their respective countries and then post the results together. Their work is good, very good. In fact they were recently freshly pressed but I won’t hold that against them. They write too. They have discovered a wonderful collaboration across the oceans. Much as we have. Some drunk writer fell off his perch! At Down Under. Vivianne moved from Paris to New Zealand a while back and makes beautiful food. Also she makes beautiful photographs. There is an elegance to her creations that belies the accessibility and simplicity of her ingredients. I do recommend that you visit if you have the time this weekend. Lets sneak her across into our world. It is possible that this is quite weird, but I weave discarded crockery into the forsythia hedge. The plant grows through the handles after a few years and holds it tight. Little surprises for the birds! Finding a sugar bowl in a bush!! The Witches Kitchen. Linda Woodrow is a cook, writer and gardener with a conscience. She is terribly lucky to be able to live in an area where she can grow vegetables all year round. And she works very hard at living and sustaining herself off her plot of land. I suspect she is a bit of a toughie. She is very sure of her views and her 100 mile radius of grazing. I really admire her resolve. She is more than happy to take on any passing windmill. The Complete Cookbook. As I have said before (and will probably say again) – Mandy is a fabulous, linear cook. One of my favourite pages. By linear I mean that her instructions, unlike mine, are direct and ordered. Her posts are consise and straight to the point. Some of her recipes are now staples in my kitchen and will be passed down to my children. There are three reasons why I love Mandy and her pages. 1) She loves trees. 2) She makes complicated processes seem simple. 3) She has an ingredient conversion page! And as we all know, when we are working with recipes written from wonderfully different countries sometimes guessing will not do it. We need to do the math. Or let Mandy do it for us. My early morning check promised another day of happy animals. I feel gently confident in looking forward to a quiet day. Cross fingers . Touch wood. Everyone Touch Wood-Quick! I am planting onion beds today and John (after rattling about with his hammer for a bit) will start to prepare the New Fields. There are three acres, (newly rented out of corn production), they will be divided, one fenced into smaller areas in the usual mixture or clovers and grasses and delicious weeds, one field in organic alfalfa for hay and bees. Today has dawned clear. The faceless weather people are forecasting wind (downy face) and warm sun (smiley face). No-one told Daisy that is was a quiet Saturday, and she is bellowing – so off I go! 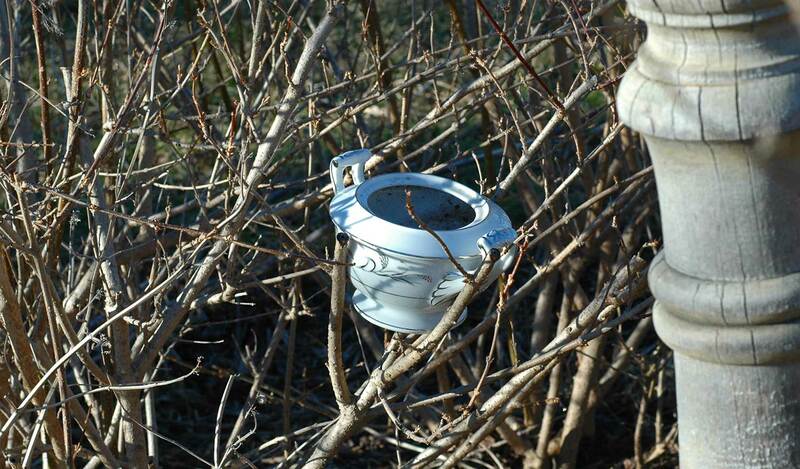 Yes, the sugar bowl in the hedge is odd…but fun! I should put one in the rosebush – maybe the wrens will nest in it, instead of in my garden supplies. Viv, you have a wonderful way of making up words, I like this new ‘ism! good morning! good morning. Words are my stock-in-trade. But I didn’t make up that one: it’s already in Chambers Dictionary! “Eclectic”. I’m partial to that word. Lucy, you see, is an Eclectus parrot and yesterday was her 10th birthday. Avian birthdays aside, this is an eclectic group of blogs you’ve gathered this week, Celi, and I’m looking forward to checking them out a little later. After all, any group that includes Mandy has to be good. Have a great day! Oh, TonTon. He is such a delight. Good morning C! I am off to read your list and have become addicted already to last week’s folk especially Gretchen..I did get her from you did I not? Anyway you all have a wonderful day! The day is bright and la little cool here. Yesterday We had heavy snowstorms with radio word warningsbot stay off the roads by 8 am, bright sun that promptly melted the snow by 9 -a cycle that repeated for most of the day! Even though I do not like roosters, because of negative childhood memories, I certainly enjoy your colorful images of them. But most of all, I liked reading today about TonTon and The Old Codger. The Old Folks get so lonely and you two are bringing them such happiness. Now, off to hang laundry on the line. Expected temps of 65 degrees here today. In Minnesota. In March. Unbelievable. You mention three acres, how big is your farm altogether and what is the average farm size in your area? I am always interested in what different country will support. What do people around you run on their farms? I have an image of a flower in a carpark. (Your farm is the flower). I wonder if you get lonely trying to blossom and set seed out there. I love your discarded crockery in the forsythia!! An outstanding artsy solution to a miniature birdbath ❤ <3!! So glad your codger is doing well.. nothing a good old dog can't cure:) Thanks for the new sites to visit!! I'm already a steadfast fan of Mandy's and look forward to checking out the others!! xoxoxo Good morning!! or is it Good day already for you!! I, too, love the word eclectic. Great reading list! I touched wood for you Celi – but subtly so my other half wouldn’t think me too odd! It is so wonderful to visit your blog, I honestly don’t know how you do it, but you make us all feel so welcomed and connected. I like the crockery idea, but does it not fill with water? Or is it there for watering? Or nesting? What a great idea! When I saw it, it reminded me of the Carolina wren bent on building its nest at the top of the downspout for the rain gutter. I think it finally gave up. Help that drunk writer back up. He was probably sampling your wine you know! Cecilia…..please put me back on my perch. Thank you for the links to other writers. I do so enjoy getting to know them and your take on their blogs. I also think your rooster is HANDSOME! Lovely post C. The sugar bowl in the hedge brought back lots of memories for me. When I was a child we kept a small tea pot (similar to the one you left on the stove!) in the hedge for the Jenny Wren to come and nest in. Fab photos as always. All I need today is the visual of Dale’s face and one happy dog. I love hearing about TonTon and the Old Codger’s time together. Roosters always look good, don’t they! Going to check out some of your new links today; thanks for putting me on to Gretchen, I’m loving that blog, it’s so different – and very interesting! I’ve been away and off line. Nice to catch up and I hope Mia is thriving on the yoghurt and that some new little lambs will soon be leaping around your fields. The world through your eyes is always so beautiful and exciting. I also love that pic of your rooster! He is indeed splendid. A wonderful eclectic mix of recommended blogs (thanks for these! ), ingredients of your day and spring sunshine. Enjoy it all! We are an eclectic group (us bloggers) whose paths cross on the web. It is good to connect across boarders and oceans. Hope you had a great and quite day in the end. Oh, and we love your rooster pic! Thanks to both you and TonTon, this *medium* codger is filled with delight, too.